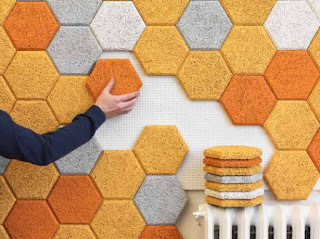 Over on interestingengineering.com, they introduce us to wall-covering hexes that have "heat-insulating, heat retaining and sound-absorbing properties, and are made from an environmentally-friendly material." 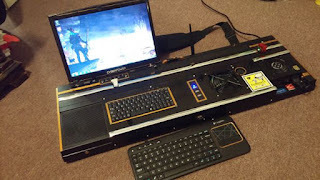 They'd also make great walls for a game room or might even be usable on the table top. Learn more here and check out the full range of colors from Baux here. Also, on kotaku.com, they have a "Portable PC Inspired By Shadowrun's Cyberdecks" here. Finally, on boardgamesenhanced.com, they feature some "3D Printed Carcassonne Board Game Tiles" here.